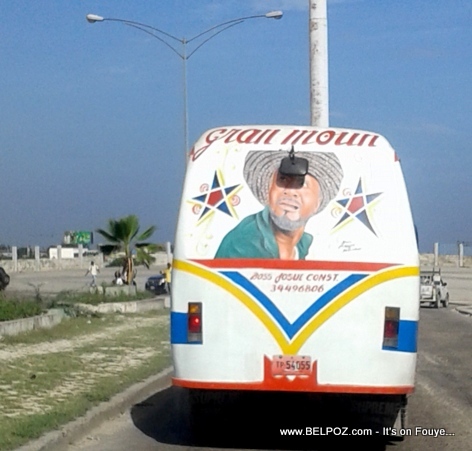 Look at this photo... a Haiti transportation bus with a portrait of Haitian actor and comedian Tonton Bicha on the Back of it. Almost every transport bus and tap-tap in the Haiti transportation system is a unique piece of art. Most of them are hand painted with portraits of famous stars in Haiti and from around the world.